posted: Feb. 21, 2017, 10:32 p.m. | updated: April 24, 2017, 11:21 p.m.
description: A man (Irrfan Khan) seeks answers and accountability after losing everything in a disaster. 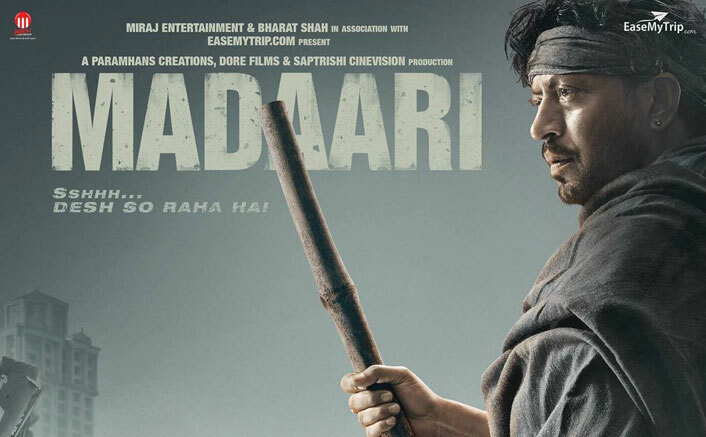 Madaari stars Irrfan Khan in the titular role of a father driven to revenge and accountability for his son's death in a bridge collapse. The film has nothing new to offer, and is quite slow. The script seems unsure of what to do with each moment, and the characters are left half fleshed as they move from one part of the country to the other. The ending seems a bit stretched and ludicrous. The film fares at most average in all departments, though even the acting by Irrfan Khan lends nothing credible to the screen. I'd suggest skipping this.